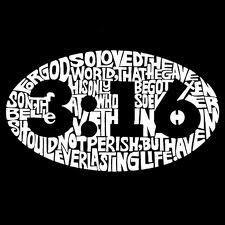 Printed on banners and held aloft in the end-zone of football games, stamped on t-shirts and bumper stickers, the ubiquity of “John 3:16” is at an all-time high. It is the marquee verse for evangelical Christians, the apparent go-to text for persuasion to the Christian ethos. The interpretation of the verse, however, is fraught with difficulty, depending on the school of soteriology to which one subscribes. Acts 11:26 And the disciples were called Christians first in Antioch. Interesting things happen when I am working in the yard digging in the dirt. I am able to settle my mind, and just talk to the Lord. I ask a lot of questions about things I’m seeing that I don’t understand. And since I understand so little, there are a LOT of questions. Anyway, as I was moving one of those 80# blocks for the retainer wall–(did you know that 80# did not used to be so heavy?!? I don’t know what they put in those things, but they certainly weigh more than they did 40 years ago! )–I began laughing at how backward we have become in the church. There is a major move on today to make disciples within the churches. This is a good thing, but not the best thing. Jesus told us to go into all the world and make disciples of all nations. As the gospel has become more watered down to make it more appealing to more people, we have this interesting situation where pastors are calling their people to become disciples. It seems that we went into all the world and made Christians of all people–but few disciples. Dietrich Bonhoeffer, in his seminal work “The Cost of Discipleship,” made it clear that being a disciple is much more demanding than the greasy grace to which many have been called. It was so demanding for him in Nazi Germany that he lost his life as a result. The term “Christian” was first used as a pejorative term, a slam against the disciples who so stood out from the rest of humanity that others mocked them. Their discipleship was so visible that a nickname had to be given. Sin seems to be a problem for most Christians. Now that I have overstated the obvious, let’s look a little more deeply into the apostle’s teaching about sin. John’s epistle is sort of circular in that he returns more than once to a particular thought or theme. 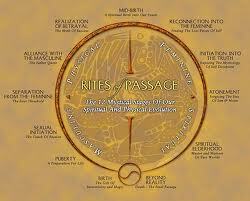 His two main emphases are sin and love, both of which he discusses from various aspects more than once. Many evangelical Christians claim to be “a sinner saved by grace.” Their focus is on their sin. Their testimony is about their sin. Their prayer request is for strength to stand strong against sin. They will remind anyone who will listen that we all sin on a regular basis. That’s too bad. It certainly is not my experience. 2 Corinthians 5:17 says that I am a new creature. The old creature was a sinner. The new creature is a saint. 1 John 2:1 says that he wrote those things so that I might not sin. John thought it possible to not sin. Are you sinning this very moment? Probably not. What about the next moment? Can you not sin for the next five minutes? If so, then why not for the next 10? 30? An hour? A day? Will you stretch with me for a week? A month? If it is possible for one minute to not sin, then it is possible for more than one minute. Take the focus off sin and put it on grace and love. BUT…if you DO fail…we have an advocate with the Father who will plead our case and cause (1 John 2:1). Just because John wrote, “If we say we have no sin, we deceive ourselves, and the truth is not in us” (1 John 1:8), does not mean that we must continually say that we have sin. We should confess our sin and move on, never to mention it again, but totally trusting in the cleansing blood of Jesus and testifying to His love and forgiveness. Beginning with the New Year, there will be an ongoing study of the book of Philippians. There are many contributors to this study, and you are invited to join in the discussion by adding your comments and insights as we progress through this wonderful book. The study is being hosted by Philter48, which is set up by two brothers in the Lord. It is being handled in a forum format. This allows the various authors access to establish a new thread for discussion, and for you the reader to participate at any level you so desire. The insights offered by such a variety of believers and the lively discussions engendered should make for interesting and enlightening reading each day. Therefore, add this link to your “Favorites” and check back often. Or, you can click on the Philippians Category to the left and get into the discussion. Either way, you don’t want to miss out on this opportunity to hear what the Spirit is saying to the churches. I look forward to your participation in this new way to tap into the vast resources of the Body of Christ, with each part supplying that which is useful for building up the Body in love.